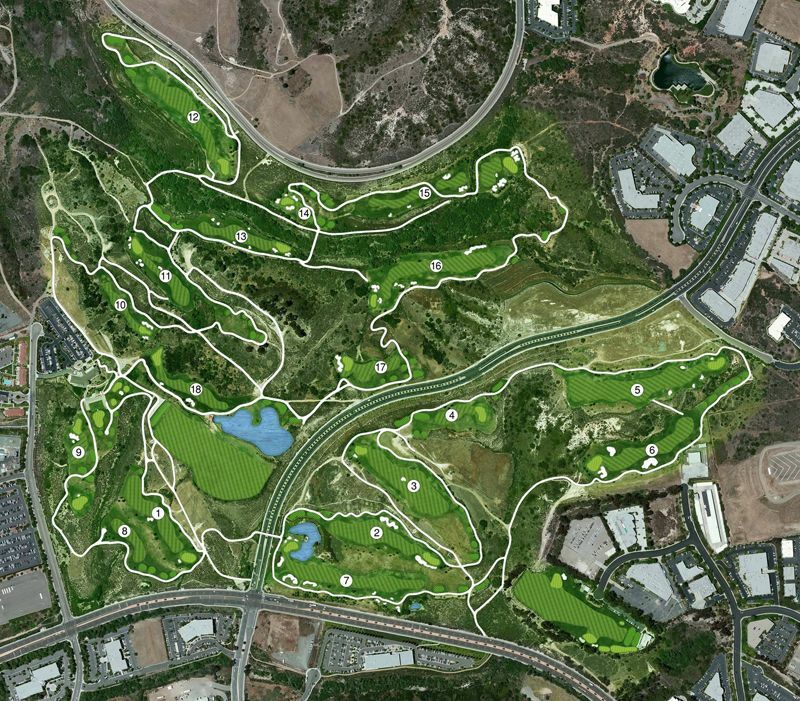 The Crossings at Carlsbad, one of San Diego’s nationally recognized golf courses, is an 18-hole championship golf course located about a mile from the Pacific Ocean in Carlsbad, California. Named for the five bridges – or crossings – that were designed into the layout, The Crossings is inspired by its natural surroundings and spectacular ocean views. The golf course was voted by GOLF Magazine as one of the “Top 10 New Courses You Can Play.” Before or after your round, spend time in the stately California style clubhouse for drinks and dining in Canyons Restaurant or The Players Lounge. This par 72 course was designed by landscape architect Greg Nash and boasts over 6800 yards of play and with five sets of tees, making it suitable for all skill levels. 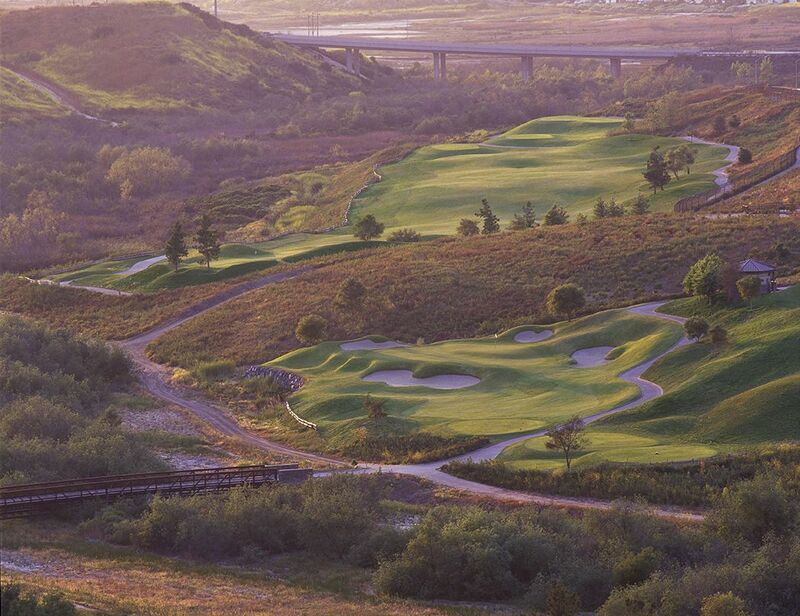 Built along Carlsbad’s nature preserve, the course’s unique hole placement is a result of the design that compliments the surround hills, valleys, and plateaus. Play on the front nine is straightforward where the back nine makes you think on every tee shot. The Crossings is a challenging course with undulating greens and forced carries on some holes. Experience country club quality with municipal access. The Crossings offers practice facilities, teaching professionals, club rentals, a complete golf shop, restaurant and bar, and banquet facilities. 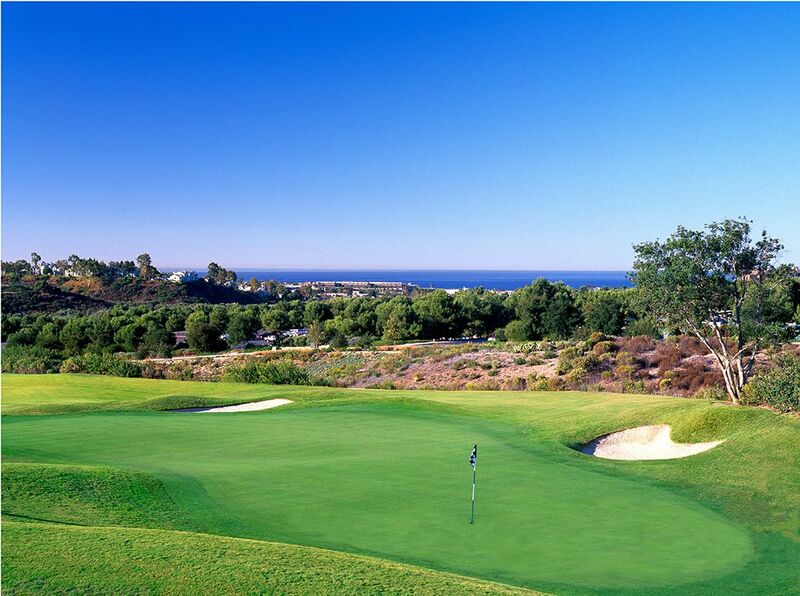 The Crossings at Carlsbad is ideal for your next golf tournament, group meeting or wedding. Greens, Fairways and Tees: 100% potable water. Complementing The Crossings golf course is Canyons Restaurant. Ideal for large or small groups, the restaurant is located in the spectacular clubhouse and offers indoor and outdoor dining for breakfast and lunch daily, with full bar service. Offering tremendous views of the Pacific Ocean, experience our unique culinary fare, floor to ceiling windows, multiple patios, and two private dining rooms. Canyons Restaurant was chosen as the “#1 Public Food and Dining Facility at a Golf Course” by Golf World Magazine. Canyons Sunday Brunch Buffet is offered from 10:00 am until 2:00 pm and was voted the “2012 Best Mother’s Day Brunch in Carlsbad” by the Carlsbad Patch. You are invited to gather with family and friends while tasting the local seaside cuisine inside Canyons Restaurant. The Players’ Lounge, located next to the pro shop, is the perfect place to sample a beer at the bar while watching a game on the big screen televisions, or simply enjoy a romantic setting with a glass of wine out on the Players’ Lounge terrace. Spectacular views and comfortable seating make the Players’ Lounge ideal to unwind with friends. 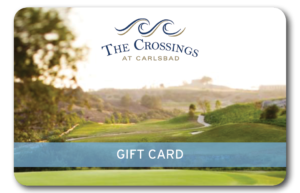 For more information and reservations, call (760) 444-1800 or email: reservations@thecrossingsatcarlsbad.com. 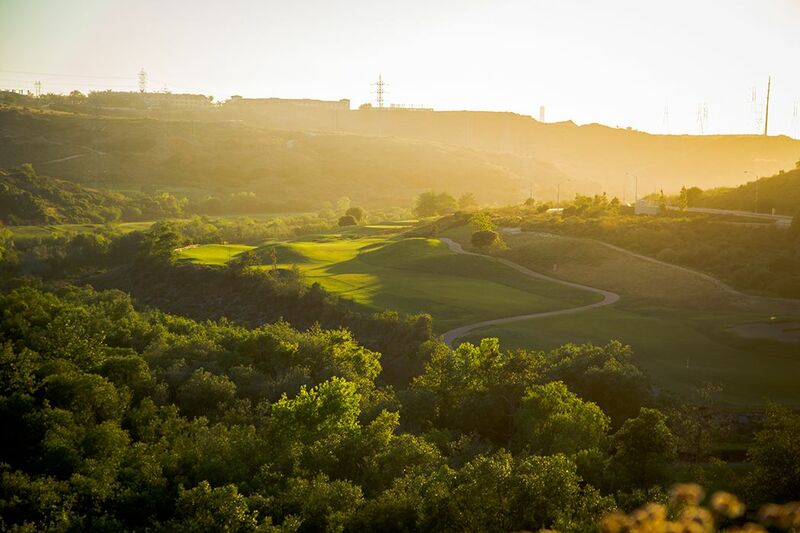 The Crossings is the perfect choice for hosting a golf tournament, with its signature service combined with excellent course conditions and pricing that provides one of the most competitive values in the Southern California golf market. 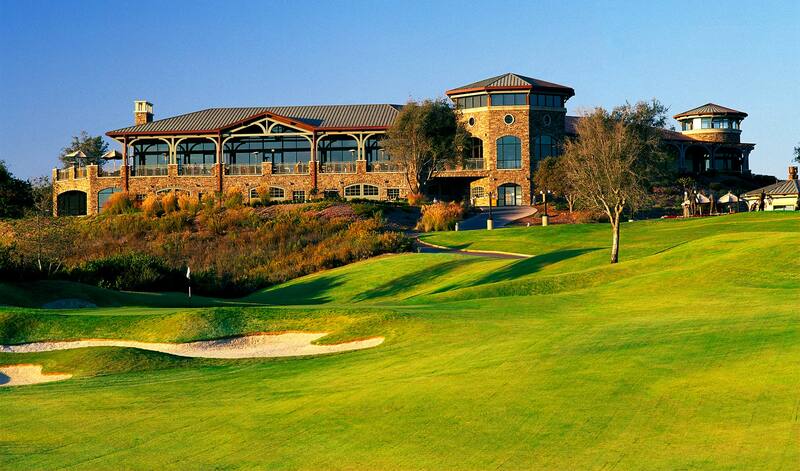 In addition to great golf, The Crossings offers an impressive clubhouse with over 28,000 sq. ft. and spectacular views of the Pacific Ocean and Carlsbad. Your tournament guests will experience personalized service, fantastic cuisine and breathtaking views. Contact our Tournament Sales Director for more information on how to host your next tournament or outing. 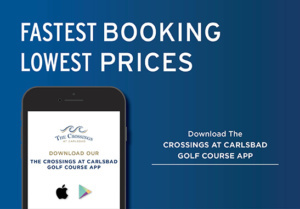 Whether you have 20 players or 144 players, The Crossings at Carlsbad has the amenities & the banquet space necessary to make your golf outing event or golf tournament a successful and memorable golfing experience. Ask about customizing your tournament to make it a memorable day by including add-on services such as a Helicopter ball drop, short game contests, customized logo merchandise and more. Join us for some fun and learn a sport you can play at any age. Personalized Golf Lessons are available from PGA Golf Instructor, Steve Vaughn, Director of Instruction. Call the Pro Shop (760) 444-1800 ext 2 for more information. 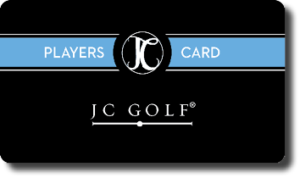 For JC Golf additional programs, visit Lessons and Instructions and JC Junior Golf. For the Men’s and Women’s club activities, inquire at the Pro Shop (760) 444-1800 ext 2. For current specials and events, please visit The Crossings at Carlsbad. For additional JC Golf happenings, check out our Specials & Events page! Rates Subject to Change. Prices include cart. *Public Junior rate is for players age 15 and under with paid adult. *JC Junior rate valid only after 1 pm on weekends and holidays. * Junior rates do not include $10 required cart fee. Junior must have a valid drivers license to drive. For club rentals and pricing, contact the pro shop at (760) 444-1800 ext 2. For monthly JC Golf promotions and golf events, visit Specials & Events.